Well, I resigned for next year, so I must like it enough! The neighbors can be a bit rowdy, but we're all college kids here so I can't say I blame them, or be too upset about it. Maintenance is quick but not always efficient. The rent is very reasonable, and the fact that it is all-inclusive of utilities and such is very convenient. I love my roommates and I feel like I live in my own comfortable, personal space. Hey Destiny, we are so happy that you resigned another year here at University Village at Austin. We love giving our residents the ease of having all-inclusive utilities; we agree it is very convenient! Hope to see you at more events coming up! Staff is nice and insightful. The roommate matching system worked pretty good. Pool looks really nice. Some of the amenities of the apartment are a little dated but not bad. Overall, I really like living here. Hi Anthony! It’s great to hear you find the staff here at University Village at Austin to be nice and insightful as we stride to have exceptional customer service. The pool is also one of our favorite amenities; don’t miss our Crawfish Boil on April 27th! I've been here several weeks now and really enjoy how quiet it is here. Very friendly staff who were quick to help when I first got here so I could get situated right away. I would recommend University Village to anybody. Christopher, we are glad to hear you are enjoying the peacefulness of University Village at Austin and we are happy we were able to move you in quickly and help you get situated easily. Don’t forget to follow us on social media to stay updated on all our upcoming events! University Village Austin has awesome and understanding staff that works with their residents and visitors. I have already suggested University Village Austin to a bunch of friends. One of them has already moved in! Hey D’Ante, it’s so cool that you have already suggested many of your friends to University Village at Austin! Don’t forget to take advantage of our ‘Refer-A-Friend’ deal. You can call the office for more details if you’d like! This is my first time moving out and had such a wonderful experience so far everyone has been so helpful with get into my new apartment and I’m just so happy. Hello John! We are so happy you chose University Village at Austin to be your first apartment you have moved to and that everyone has been super helpful towards you. We hope to see you at our Crawfish Boil on April 27th! I'd live here again if they offered one bedroom options. The apartment living is nice, but with a single space it would make me feel more at home. Hey Christian! It’s great to hear you would renew here if we did offer one bedrooms however, check out some of our sister properties that do offer these floor plans! Call or email our office if you have any questions. Hi Courtney, it’s amazing to hear you have liked University Village at Austin since the day you moved in. Our friendliness and great customer service is something we stride to perform and we are glad you have noticed it here. This community is great for students! It’s very affordable with many amenities like a computer lab and free printing. The only thing that could make it better was if it was walking distance to UT. Dominique, we agree that University Village at Austin is very affordable and it is great to hear you are enjoying the many amenities we have here! Hope to see you at the Crawfish Boil pool party on April 27th! I really like living here. I really like the fact that there’s a gym and a pool here. It’s very convenient. I love all of the office staffs and everyone is very helpful. Hello Allison, it’s amazing to hear you are enjoying your time here at University Village at Austin. We also love the convenience of the gym and pool here. We hope to see you at our Crawfish Boil on April 27th! Great Maintnence response, The customer service in the office is always reliable, Receiving packages and getting them is good I feel safe where I am maintenance people are always friendly very consistent and On time. Parking needs to be better. Hey Osayuware! 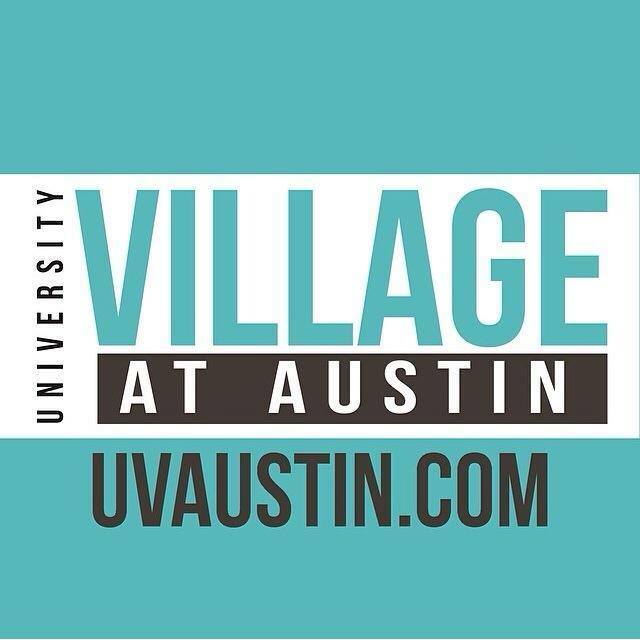 It is great to hear you find the customer service at University Village at Austin very reliable. We’re glad you get your packages quickly and work orders done promptly. We love having you as a resident and hope to see you around at more events! I have been satisfied with my resistance experiment at University Village. I appreciate the staff in the office, they are always welcoming and ready to answer questions. Montserrat, we are very pleased to hear you have been satisfied with your time here at University Village at Austin. We hope to see you at more upcoming events! Besides the fact that my lightbulbs are extremely dim, everything works great and maintenance fixes my issues almost immediately. I’m really happy with my apartment. Maximiliano, thank you for taking the time to write a review. You are welcome to put in a work order about your bulbs, as they may be going out. We are happy to hear that your experience has been a positive one. Please let us know if you have any further questions. I really like living here! There is free printing and computer use. There is a gym and a pool. It is on the UT bus route and it is only a short walk to the bus stop. Madalyn, thank you for taking the time to share your experience. We are so happy to hear that you are enjoying living with us, as well as getting good use out of the amenities. Let us know if you ever need anything, and we would love to see you at the upcoming events! Great place to live, a lot of events, clean common areas, great service request system and fast maintenance! Would recommend, definitely worth it! Eduardo, we appreciate the feedback and recommendation! When you refer a friend, make sure they put your name down so you can collect a refer a friend bonus! We are glad you are enjoying living here, and we hope to see you at the upcoming events. Great experience in a great and upcoming location! The community offers great amenities and makes everyone feel welcome with fun community activities it provides! Reina, we appreciate the kind words about our property. We are so excited that you are enjoying the events. We love hosting them for you. We hope to see you at the Crawfish Boil on the 27th! Everyone i’ve meet in the front office is nice and cool to chat with whenever i go in to pick up packages and what-not. although, i wish those who run the complex put as much effort into making the units themselves look nice as much as the front office. Brittney, we appreciate the feedback. This ensures we are able to continue to grow as a property to help serve you. Thank you for sharing. We hope to see you at the Crawfish Boil on the 27th! I have lived here for about hLf a year now. It has been a lovely experience. Service requests are done quickly and there are many friendly faces. Alex, we appreciate you taking the time to leave a review. We are so glad you have enjoyed your time living here. We hope to see you at the upcoming events, including the Crawfish Boil on the 27th! I really enjoyed living here because it was a good price, the only downfall is being far from UT campus. It was really nice to have my own room as well as UT's Lyft being able to drop us off late at night without having to take the bus. Hey Alejandra! We are glad you have used your resources to find your way to the UT campus from our property. We agree the prices here at University Village at Austin are very convenient and we are happy you are enjoying your time living here! Everybody is awesome here, my roommates are cool, and I’ve made friends with other residents. I LOVE THE HOT TUB... but the pool is filthy. I also like the monthly events that go on here. I appreciate you guys for trying to keep things fun! Hey Jada! It’s great to hear you love living here at University Village at Austin. We love the hot tub as well and do routine cleansing on the pool. We love planning the events for you guys and glad you appreciate them! Hope to see you at our Crawfish Boil on April 27th! The apartment and the staff are nice, my main problem and the reason why I have 4 stars is because of maintenance. When you ask them to come they either don’t come at all or they come and halfway fix things. Hi Princess! We are glad you enjoy your apartment and our friendly staff here. If you have any specific concerns about certain work orders, please come by the office we would be happy to help you out. Hey Ezekiel, sounds like a great movie. If there is anything we can do to improve your rating, please let us know, as we love to constantly improve ourselves. Thanks! Hi, My experience is at the University village is really good, and I recommended my friends to stay in there with easily. I , also, want to say that the leasing officers are so hospital and understand your request. Once I called about the some problem and they came immediately. Hi Hilal, it’s amazing to hear you are enjoying your time here at University Village at Austin and that the leasing office has been a great help to you. We hope to see you at future events coming up! Living in University Village is great, yet I feel the staff in the office could be more readourceful, matainence can do a better job because at time they don’t clean things correctly, and noise in the apartments can be supervised especially in weekends at night when people are trying to sleep. Brenda, we appreciate you sharing your experience with us. Please let us know how we can help improve our staff. If you have any noise issues, you can email us a video recording for proof of the excessive noise so we can assist. We hope to see you at the future events. Taylor, we appreciate you taking the time to leave a review. We are so ecstatic to hear that you are loving your time with us. We are sorry to hear about the internet problems; please call My Campus Net so they can troubleshoot and help strengthen the signal for your router. Please let us know how else we can help! I love the apartment and the facilities. I can feel the safety of the place. Clean environment and friendly people in leasing office and living in the area. Angel, welcome to your new home! Thank you for taking the time to leave a review. We are so happy to hear about the wonderful experience. Please let us know if you need anything, and we hope to see you at the upcoming events.